I go on a lot of road trips. I have to drive between Albuquerque, NM and Nashville, TN twice per year so I can have access to my car in my two homes. I drive to retreats and district events for Tau Beta Sigma, the band service organization I am a part of. I drive to various music festivals. I’m going to be driving to Mardi Gras this spring. And while some people may not understand it, I love all of these long drives, and one of the main reasons for that is having a good road trip playlist. Having been fortunate enough to be travelling to festivals for two of the past three weekends, I’ve decided to share a few of my current favorite road trip albums. The Killer’s 2004 album is a perfectly poppy example of what I’m looking for out of a road trip album. It has interesting soundscapes that vary, but never sound out of place within the work as a whole. It has epic moments, and those that are more subdued; it will keep you awake, but won’t cause you road rage on what should be a peaceful trip. And, most of all, it has songs that everyone can belt out and have a shared experience with–“All These Things That I’ve Done,” “Somebody Told Me,” and “Mr. Brightside” are sure to result in singalongs, regardless of whether you’re driving solo or have a full car. Best road trip moment on the album: while my favorite moment on the album during casual listening is the beginning of “Mr. Brightside” through the end of its first verse, my favorite part of this album for a road trip is the bridge in “All These Things I’ve Done,” with it’s slowly building refrain of “I’ve got soul but I’m not a soldier” leading to some serious car jamming as it goes into that final chorus. Especially if the climax of the bridge hits as you emerge over the top of a tall hill and find a beautiful valley in front of you; that’s majestic. While Nugget has car-centric gems “The Distance” and “Stickshifts and Safetybelts,” Comfort Eagle is my go-to on the road from CAKE. I can’t really explain why beyond the fact that my personal preference is for Comfort Eagle between the two albums just in general. However, Comfort Eagle isn’t without its share of car songs, with gem “Shadow Stabbing” sounding very much like the band The Cars, and the song “Long Line of Cars” being about exactly what you don’t want to encounter on a road trip (what can I say, I like to live on the edge). On the whole, it’s a solid album of CAKE jams, and CAKE jams are perfect for the road. Best road trip moment on the album: Definitely “Short Skirt Long Jacket.” It’s one that everyone loves (or is about to if the road trip is their first time hearing it). The spoken word, the funky guitar, the trumpet licks, the vibraslap (I bet you’re about to google it), and never knowing quite how long to hold out the word “long” in the chorus as you sing along make this an awesomely fun song on the road. 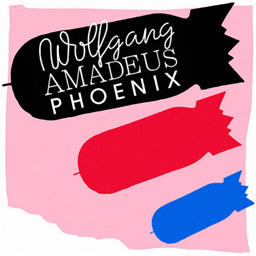 My first introduction to Phoenix came with “1901” from this album, and it was immediate love. Why this album bears inclusion above the two aforementioned albums is that I can look at each song individually and find them to be good road trip songs on their own; the album collectively is just that much better for it. It’s dance-y, and while you may not be able to dance while driving (read: don’t dance and drive, stay safe on the roads y’all), it will definitely inspire you to keep that car moving. Best road trip moment on the album: Amid a tracklist that is filled with poppy sounds, Wolfgang includes a pretty minimalist, experimental (mostly) instrumental track called “Love Like a Sunset.” It’s broken into two parts: the first with very minimalist instrumental jamming that just builds on itself in an ever-building crescendo, and the second where that energy is resolved into beautiful, powerful, single-hit chords and lyrics to match. When Pt. 1 goes to Pt. 2 and you’re on the road, it’s beautiful; you look around and see the wonder that is happening in the world that you are moving through. 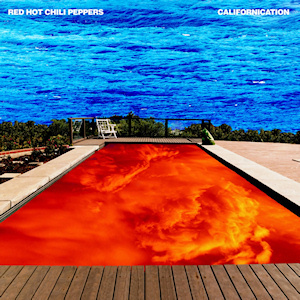 This album is just full of goodies; the front half is full of singalongs like “Around the World,” “Otherside,” and “Scar Tissue,” while the back end is lesser known but full of great instrumentals and a throwback to late 80s/early 90s Chilis-funk. Keeps the blood moving, as well as the car. The title track is amazing, and of course, there’s the album’s closer, “Road Trippin’.” Can’t get more perfect for a roadtrip than that. Best road trip moment on the album: “Around the World” has the perfect mix of funky bass, funky guitar, driving drums, raps about different places that one may be travelling to, and great harmonies on the chorus. “Life is beautiful around the world,” the chorus says, and its a reminder that you’re travelling to experience all of the different aspects of that beauty. 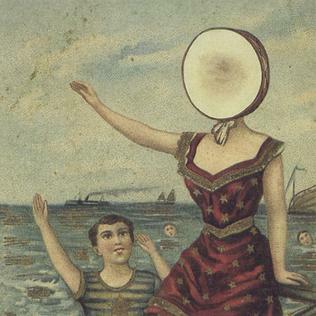 The full lineup of Neutral Milk Hotel (currently back together for a reunion tour!!!) only put out one album together, but it is amazing in every single way possible. It has acoustic guitar, trumpet, melodica, singing saw, bagpipes, just everything imaginable. And they’re not in there just because; every instrument in a song serves a purpose. The lyrics seem to be a love song to Anne Frank, but are ambiguous enough that listeners will find different meanings specific to them based on the circumstances in their lives. With 3-part songs and reprises of themes strewn throughout, the album is truly a collective artpiece even though there is so much variety on it. Best road trip moment on the album: “Oh Comely” is an 8-minute epic. The story goes that Jeff Mangum, the band’s front man, recorded the whole thing (both his vocal and guitar parts) in one take, start to front, and in response to this you can hear a very soft “holy s***!” being yelled from somewhere that the mic barely picks up after Jeff is done with his take. See if you or anyone in your car picks up on this; it is just proof of how integrated the album will be in your trip if you’re paying that much attention to it. With that in mind, jam to the album’s conclusion with increased appreciation for it as a piece of art. Interested in these albums? Check out this playlist of the road trip highlight moments, and then delve into them more! Can’t agree more on Californication. One of my all-time favorite albums and probably will be considered RHCP’s masterpiece when we look back on their career in fifty years.